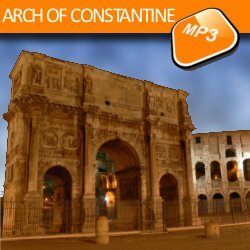 Description: The Arch of Constantine is a large triumphal arch which is located between the Colosseum and the Palatine Hill. This arch is religiously very important because it commemorates the battle that led the Emperor Constantine to convert to Christianity. This battle has in fact changed the religious landscape of either the Roman empire and the western world.